A study published today (04/21/2015) in the Journal of the American Medical Association (JAMA) found no correlation between MMR vaccination and the development of autism in young children, with or without an older autistic child in the family. A study published today (04/21/2015) in the Journal of the American Medical Association (JAMA) found no correlation between MMR vaccination and the development of autism in young children, with or without an older autistic child in the family. The large study included children continuously enrolled in the health plan from birth to at least five years of age during 2001-2012 who also had an older sibling continuously enrolled for at least six months between 1997 and 2012. MMR vaccination was not associated with an increased risk of ASD. There was no association between one or two doses of MMR vaccination and ASD, even among children at a higher risk of ASD. 994 (1.04%) of the children were diagnosed with autism and 1929 (2.01%) had an older sibling with autism. Parents of young children have been concerned with the role vaccines play in the development of autism. As stated in the review by Doja & Roberts, this concern stems from the obvious correlation between the first signs of autism and the routine childhood vaccination schedule. However, an overwhelming number of studies have found no association between vaccinations, especially MMR and autism. In recent years, celebrities like Jenny McCarthy, Jim Carrey and Donald Trump all have warned there is a link between autism and vaccinations. Who started the belief that vaccination caused autism? The belief also started when a now-retracted 1998 British study associated the administration of the measles, mumps and rubella (MMR) vaccine with the appearance of autism and bowel disease by former surgeon Andrew Wakefield. After publication of the paper, researchers were unable to reproduce the finding of the study, which brought suspicion. An investigation published by the British Medical Journal (BMJ) determined that Andrew Wakefield either misrepresented or manipulated the medical histories of all 12 of the patients whose cases formed the basis of the 1998 study, and Wakefield was without question responsible. The study has caused major public damage. How did the false study affect vaccination in the general public? Vaccination rates dropped severely in Britain after its publication, dipping as low as 80 percent by 2004. Measles cases skyrocketed in the subsequent years. According to the Centers for Disease Control and Prevention, more measles cases increased since 1997 where more than 90 percent of those infected had not been vaccinated, or their vaccination status was unknown. 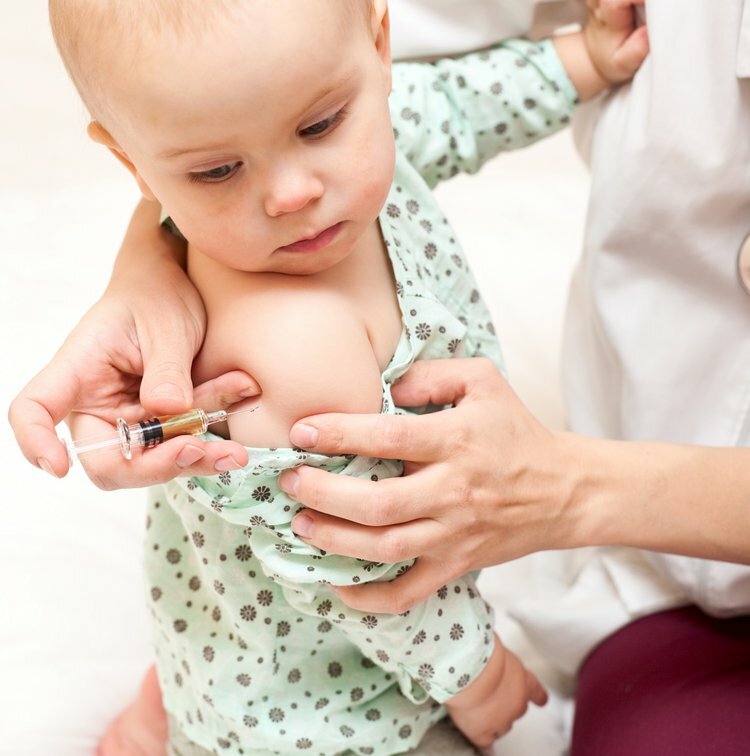 Despite reassurances by the Centers for Disease Control and Prevention (CDC), many parents remain skeptical and decline to vaccinate their children. In the past few years, easily preventable diseases have been making a comeback because of fears of vaccination mediated ASD. In the US, for example, the prevalence of measles outbreaks has increased recently, with the largest outbreak reported since 1996 occurring in 2013. According to the CDC, these outbreaks are more common in the unvaccinated (or unknown status) populations, placing themselves and their communities at risk. Additionally, based on a Council on Foreign Relations (CFR) report, an NPR public health blog states that there has been a resurgence of whooping cough in the USA. A drop in vaccinations is also observed in European countries, with a consequent resurgence of measles. What did the scientists suggest? In light of this data, it is important to encourage parents to opt for immunizations of their infants/children to prevent such outbreaks. On the other hand, it is also important to allay the fears of parents who are perplexed and/or misinformed regarding vaccinating their children. The study by Dr. Jain and fellow scientists should contribute to relieving parents’ anxiety regarding vaccinations, specifically MMR. Jain, A., Marshall, J., Buikema, A., Bancroft, T., Kelly, J.P., Newschaffer, C.J. Autism Occurrence by MMR Vaccine Status Among US Children With Older Siblings With and Without Autism. The Journal of the American Medical Association, 2015, 313(15), 1534-1540. Doja, A., & Roberts, W. (2006). Immunizations and autism: A review of the literature. The Canadian Journal of Neurological Sciences, 33(4), 341-346.